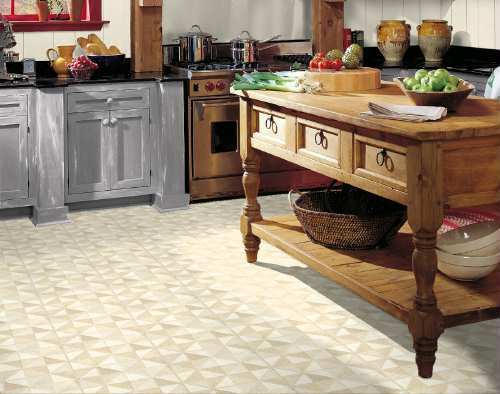 Description: Warm off-white provides a background for triangles and squares of light beige, light tan and medium taupe - speckled with dark brown and teal. The most durable Designer Solarian floor, it features Inlaid Color, the patented CleanSweep no-wax wear surface, and a 15-year limited warranty. Available only in 6 foot width.